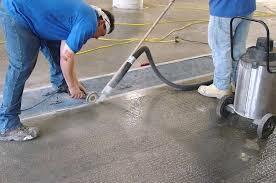 If you have decided to have your garage floor coated you are going to have to find a reliable epoxy floor contractor that can do satisfactory work at a price that is commensurate with the level of sophistication you require for your garage floor. There are many reputable ones out there like Concrete Treatments Inc but there are also others that might want to take advantage of your lack of knowledge in the industry. If this is your first time looking for a contractor to perform work on your garage floor here are some essential things they need to provide you so you’ll know you are working with a legit one. 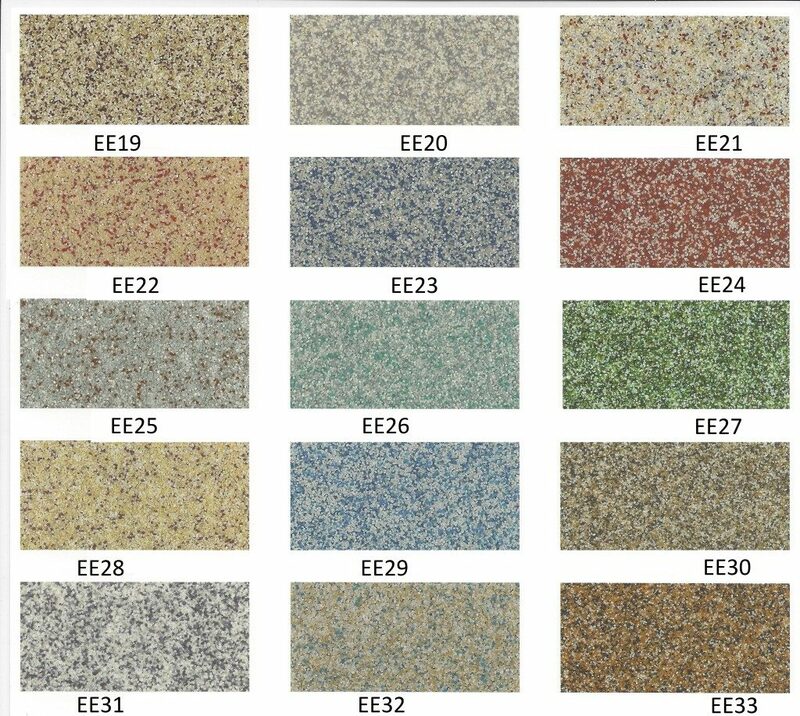 Epoxy floor contractor that have a good reputation and lots of happy customers will not wait for you to ask them for references. They will instantly hand some for you to verify. Aside from a list of references they should also provide you with their portfolio or body of work. If they are proud of what they’re doing you do not have to ask for this information. In most states, contractors working on concrete will need to provide a contractors license. They also should provide you with documentation on their insurance and bond. Liability insurance can protect you from damages on your property as a result of the contractor’s work. The bond will protect you in case the contractor fails to complete the project once payment has been made. If any of these are not readily available, walk away. Good epoxy floor contractors will provide you with written contracts and warranties as commitment of their work for you. They will not rely on a handshake or a verbal agreement. The contract should state exactly the materials that are going to be used including the type of coating system that will be installed. There should also be start and completion dates especially if you are working on a schedule. It is common practice for a contractor to seek partial payment in advance to cover materials for a large project. However, for a typical garage floor this should not be the case. It is always in your best interest to read the fine print on the warranty. 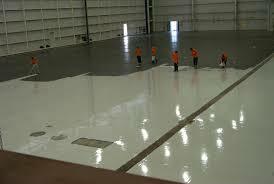 Regardless of how nice your epoxy floor contractor seems to be, do not put a lot of weight on a verbal assurance. They should provide what they guarantee in writing no more no less. A reputable epoxy floor coating contractor will offer you different floor coating systems in accordance with your needs and budget. 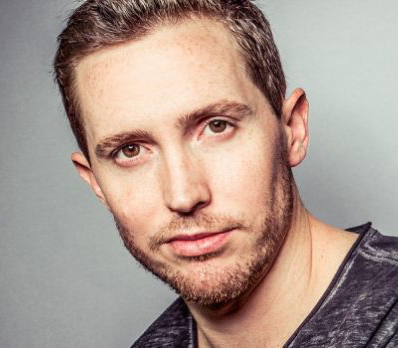 In most scenarios they will hand you with an explanation in a good, better best outline. They also should provide you with information on an epoxy primer with the coating. This is used to provide more reliability on your floor. It should not be a surprise if the flooring contractor offers you a much more expensive multi-coat system. 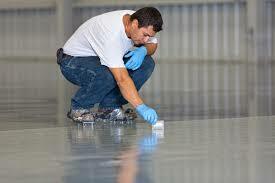 The best epoxy floor coating contractors have very good reputations due to the high quality of their work. As a result they will pitch you a high performance floor coating that they can stand behind and will possibly refuse work if the client insists on a cheap, unreliable alternative. The reputable contractor will not provide a phone quote. If they are truly good at what they do, they will insist a site visit first before giving you a price quote. They also should provide you with the brand of products they offer and explain the merits of each. They need to be able to tell you how thick the coating is to be applied or if there is any worry of volatile organic chemicals in the coating. Avoid contractors that are vague when it comes to the exact brand they use. This means they will generally use an average or worse, an inferior coating product.